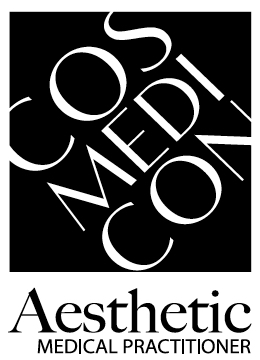 By registering for Cosmedicon 2019, delegates and attendees agree to abide by all terms and conditions set out by Bella Media Group Pty Ltd (Bella Media). By registering, you are committing to the purchase and payment of registration to the event. Two Day Scientific Program registration includes lectures, official conference documents, morning/afternoon tea, lunch and coffee breaks and admission to the Social Functions. Accommodation, meals for partners and additional tickets for the Social Functions are not included in the registration fee. Single Day Scientific Program registrations do not include tickets to social functions. Additional Workshops registration includes lectures, official conference documents, morning/afternoon tea, lunch and coffee breaks. It does not include admission to the Social Functions. Please note there is no entry to the industry exhibition hall without registration to the conference. Bella Media reserves the right to prohibit entry of any person to a Bella Media event, or eject any person from a Bella Media event based on behaviour deemed inappropriate by Bella Media staff and/or its agents and others working under its authority. Delegates are not permitted to bring food or beverage products purchased at commercial outlets outside the venue. All cancellations and changes to registrations need to be made in writing by email, fax or post. If you have not received acknowledgement within two business days, please contact the Bella Media Conference Team on 02 9398 2755. Cancellations before 31 January 2019 will incur a 10% cancellation fee. Cancellations from 1 February 2019 to 14 February 2019 will incur a 50% cancellation fee. Cancellations on or after 15 February 2019 will receive no refund. Cancellations before 14 February 2019 will incur a 40% cancellation fee. All cancellations of accommodation bookings are subject to the applicable venue’s terms and conditions, which will be outlined during the booking process. Bella Media acts as the organiser only of these activities and does not accept responsibility for any act or omission on the part of the service providers. No liability is accepted for any inaccuracy, delay, damage, death, or personal injury. Bella Media reserves the right to change, without notice, any aspect of the conference program. All information supersedes all previous publications. Smart casual attire is required when attending the conference and for Thursday night’s Welcome Drinks. Costumes are encouraged for the ‘Casino Royale’ Gala Dinner. Bella Media and/or the Venue are not responsible for either the partial or total non-execution of the contract in the event of accident, an act caused by a third party, such as Acts of God including, without limitation, credible threats of natural disaster in the geographic vicinity of the venue, war, curtailment or interruption of transportation facilities, threats or acts of terrorism or similar acts, governmental travel advisory, a governmental elevation of the terrorism alert level, civil disturbance, the issue of a travel warning by the World Health Organization or any other cause comparable events or disaster beyond the parties’ control which prevents the venue from providing the event or if for the same reasons the event is cancelled by Bella Media. Bella Media does not accept any liability for any losses incurred pre, post or during Cosmedicon due to unforeseen cancellation or postponement. In the event of the conference being cancelled, no refunds will be issued. All available funds will be credited towards a future conference held by Bella Media. Registration fee does not include accommodation, meals for partners and extra tickets for the Welcome Drinks and Gala Dinner. Delegates and others are advised that photographs and filming will be taken during the conference and reproduced for promotional purposes. In the event of industrial disruptions, the Conference, Venue, Committee and organisers accept no responsibility for losses incurred by conference attendees, staff and participants. Your name badge must be worn at all times, as it is your entry to all sessions and inclusive functions. By registering, you are committing to the purchase and payment of registration to the event. All prices are in Australian dollars and include GST. Payment must accompany your registration. Participants shall be regarded in every aspect as carrying their own risk for personal injury and loss or injury to property, including baggage during the conference. We strongly recommend that you take out a travel insurance policy at the time of booking your registration, travel and tours. The organisers will be in no way responsible for any claims concerning insurance. By providing your email address, you agree to receive emails in relation to this and future events of this type. You may opt-out at any time by contacting Bella Media. Your name, organisation and email may be published on the delegate list which is provided to exhibitors and sponsors. Your name and contact information may be used by parties directly related to the event such as Bella Media and approved stakeholders and sponsors. You will be given the option to opt out during the registration process, however if you wish to opt out, please contact Bella Media. Registration as a Delegate or Sponsor or Exhibitor attendee does not automatically constitute as confirmed attendance for any social events during the course of the conference. Every attendee (even those entitled to complimentary registrations) must respond in the affirmative as attending social functions by selecting options during online registration. Places at social functions are not held if an affirmative response is not received to the attending option. As alcohol is on offer, all social functions are classed as a licensed event. All attendees must comply with the Venue’s responsible service of alcohol requirements. The Venue’s alcoholic beverage license requires that venue staff shall: (i) request proper identification (photo ID) of any person of questionable age and refuse alcoholic beverage service if the person is either underage or proper identification cannot be produced, and (ii) refuse alcoholic beverage service to any person who, in the Venue’s judgment, appears intoxicated. Cosmedicon (Bella Media) does not permit the recording of presentations and workshops at the Conference under any circumstances or in any form of media, including but not limited to audio recordings, video recordings, or literal transcripts unless you acquire a written consent. Bella Media permits and encourages the use of social media, such as Facebook, Twitter, Instagram, Google+, Snapchat and blogging at the conference as a way to summarise, highlight, review, critique, and/or promote the presented materials, or the conference in general, on the condition that: copyright law is observed, verbatim information is limited to a few quotes, and the author or speaker is referenced and cited appropriately. Please bear in mind that presenters have invested many hours in the development of materials for the Conference and copyright laws apply. Out of respect for the other participants, we ask that loud electronic devices be silenced, though they do not need to be switched off, so that they may be used to tweet, post on Facebook, or take notes in accordance with the above-stated policy. Using audio and/or video recording devices during sessions.